It's one of my family's traditions to have Alaskan King Crab Legs on our holiday table. We try to have at least a poultry, beef, ham and seafood dish on the table, with the crab legs representing seafood. They may look intimidating to cook but it really is easier than you think! 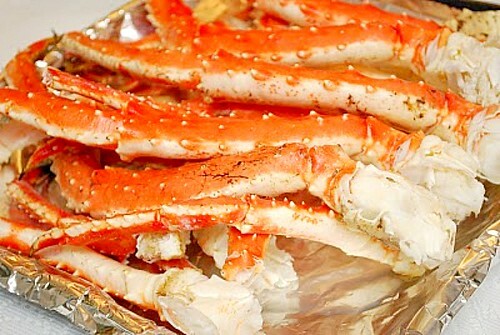 To steam Alaskan King Crab Legs, place two cups of water and a tablespoon of salt in a pot and bring it to a boil. Place the crab legs in the pot on a rack over the boiling water. When the water starts to boil again, cover with a lid and cook for about six minutes or when they begin to smell cooked, they should be ready to eat.